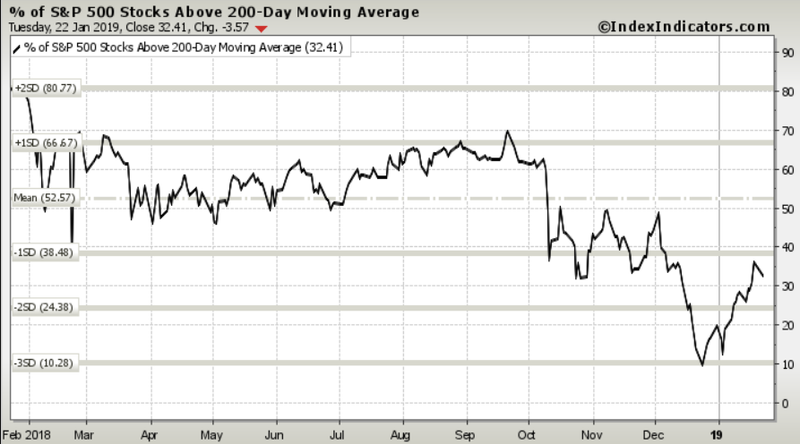 Stocks have had one helluva move off the of the lows last year, and there’s growing nervousness around whether another leg lower is coming. There is no question it certainly can, but as a natural contrarian, I get more bullish when I see so much negative sentiment. Context always matters much more than opinion. There are a few things that might favor some on-going near-term strength. First, consider that while the move has been incredible off of the lows in December, the reality is that a lot of stocks are still deeply underwater, with only about a third of US stocks in the S&P 500 trading above their respective 200 day moving averages. The contrarian in me thinks there is more to go (unless of course we really are in a secular bear market).The other signal favoring the bulls? 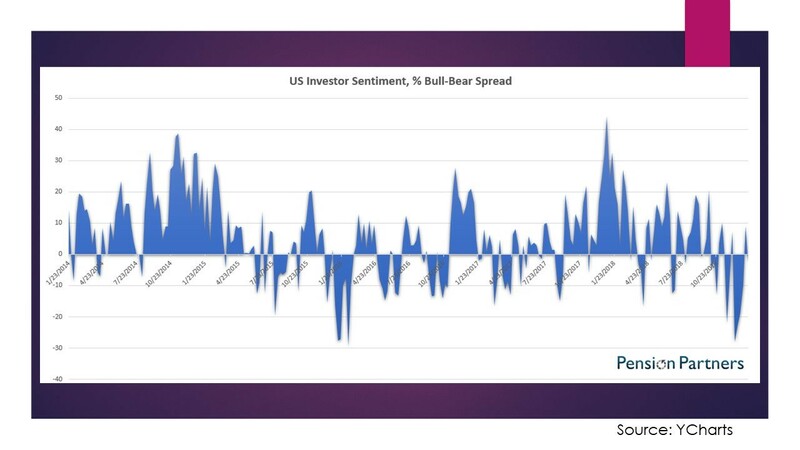 When looking at US Investor Sentiment, bullishness is nowhere near extreme. Again, this doesn’t mean stocks can’t go down, but the sentiment is not showing a tremendous amount of exuberance into the advance. On-going up moves tend to be built on skepticism, which is still very much the case currently. Of course, all of this is subject to change given significant headline risk around the government shut down and on-going international trade tensions (a good scapegoat line for the media). But at least from an extreme sentiment standpoint to really get bearish off of, it seems we aren’t there just yet for round 2 of another big decline in the short-term.